Description: Halloumi cheese frying in grill pan. 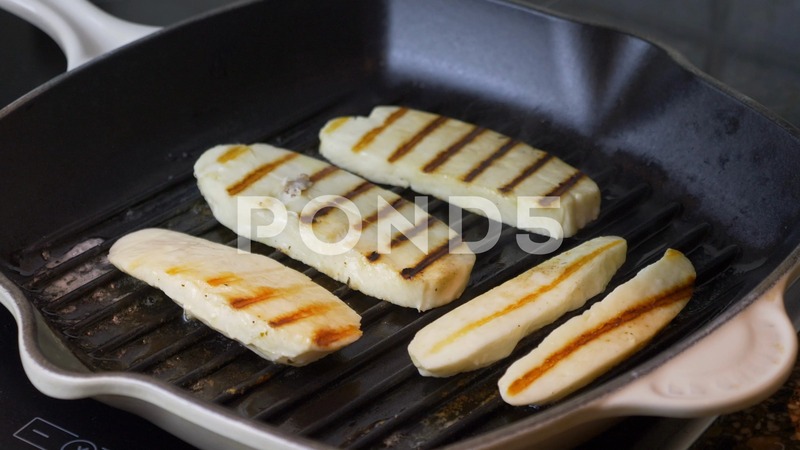 Grilled slices of halloumi cheese frying in grill pan. Close up indoors. Cyprus goat cheese fried. Rotation.